A couple of years ago, I wrote a blog called Ten Ways to Put Off Writing Before Breakfast. Always one to push myself to achieve greater and advance further in my work, I’ve decided to revisit this idea. This time, with ten all-new procrastinatory suggestions, I’m taking the bold step of attempting to make it all the way to lunch without doing a stitch of writing. 1. Play Angry Birds. This could be substituted for any mindless game on your phone, computer or other electronic device. If you don’t have any electronic devices handy, you can always resort to doing a crossword or your daily paper’s Sudoku puzzle if you have to. I have recently rediscovered Angry Birds after a long break, and it's a goodie. It’s beautifully addictive and can easily dispense with half an hour’s procrastination, liberally sprinkled across the morning. 2. Walk the dog. For this one, it’s handy, but not essential, to own a dog. You can always borrow someone else’s dog if needed. Or just go for a walk on your own. If it’s a nice day, a leisurely walk along the beach, coast path, woods, countryside – or even just round the block a few times – is a great way to convince yourself that you’re clearing your mind ready for work and not actually procrastinating at all. Walkies. The perfect way to clear your mind ready for writing. 3. Look at houses on Rightmove. Ohohohoho, boy, can this pass the time! Please note, you don’t have to be actively thinking about moving house for this. I adore my home and have no intention of moving house at all, but still managed to spend a good hour and a half looking at properties, whittling them down to the one I really liked, checking out all the pictures, the exact position on the map and imagining what it would be like to live there. You can also use the handy new facility that tells you exactly how much all the houses that have changed hands near to you recently have sold for. For property geeks and generally nosey people, this site is gold. 4. Eat an apple. * Yeah, this one doesn’t take all that much time, but for some reason I still managed to combine it with ten minutes of staring completely mindlessly into space. 5. Do some back exercises. I mentioned yoga in the previous blog, but you don’t have to be able to do yoga. I certainly can’t, to any standard that anyone who regularly does yoga would recognise as yoga anyway. But you can always do a few back stretches. This one, for me, is genuinely important and if I don’t do it a few times a day, my back feels like concrete the next day. Scatter these throughout the day and they can easily add up to half an hour’s genuine ‘It’s not writing but it supports my writing,’ time. 6. Phone John Lewis about a refund they owe you. OK, so this one sounds quite specific and you might think it doesn’t apply to you. But this is just one example of the many ways you can pass a good fifteen minutes waiting for someone at a call centre to answer the phone. Problems with your bank, electricity provider, mobile phone company, broadband etc etc. If none of those apply, you could always google plumbers in your area to find someone who can fix the dripping tap in your bathroom. There’s got to be something that needs doing in your house. 7. Pluck your eyebrows. We've all been there. ** You are literally on the verge of actually doing some work and you just nip to the loo while you’re waiting for the kettle to boil. (No one can reasonably be expected to start working without a fresh cuppa.) On your way to the toilet, you walk past the one mirror in the house that has great eyebrow-plucking visibility when the sun catches it in just the right way. Like it is doing now. You have to seize the moment (and the tweezers) don’t you? ** Guys, you’ll have to come up with your own equivalent for this one. Perhaps a beard trim? 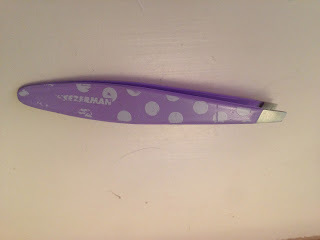 My current tweezers of choice. Have also doubled up to be used as a mini screwdriver for emergency tightening of tiny little screws on bathroom shelves that obviously needed tightening before doing any work. ***Please note, pic shows TV mag from December, which, due to being a Christmas and New Year special, can double the procrastination time for this activity. 9. Phone a writer pal. If your procrastinating is going so well that you’re running out of morning, you can always combine this with point two by taking your phone and a pair of headphones on your walk with you. But if you’re nowhere near lunchtime and you’re down to the last two points, get the kettle on, make a brew and settle down for a good old moan, whinge and writerly chat. Again, a great one for the ‘It’s about writing so it counts as work, really,’ category. And there we have it. A good morning’s (in)activity in a nutshell, at which point it’s surely time to break for lunch. My work is done. Hurray! For North of Nowhere! Have checked, tis in my local bookshop. Nipping to a bookshop is definitely 'almost work', isn't it?? I've found than making a loaf of bread is also quite good for wholesome time-wasting (not with a bread maker, but by hand). Yes, it's not writing, but it's good thinking time while you knead...honest. Congratulations! And thanks for all the extremely useful ideas. Funnily enough, Elen, I bought a bag of bread flour last week, after someone in my writing class was waxing lyrical about what a marvellous thing bread-making is. 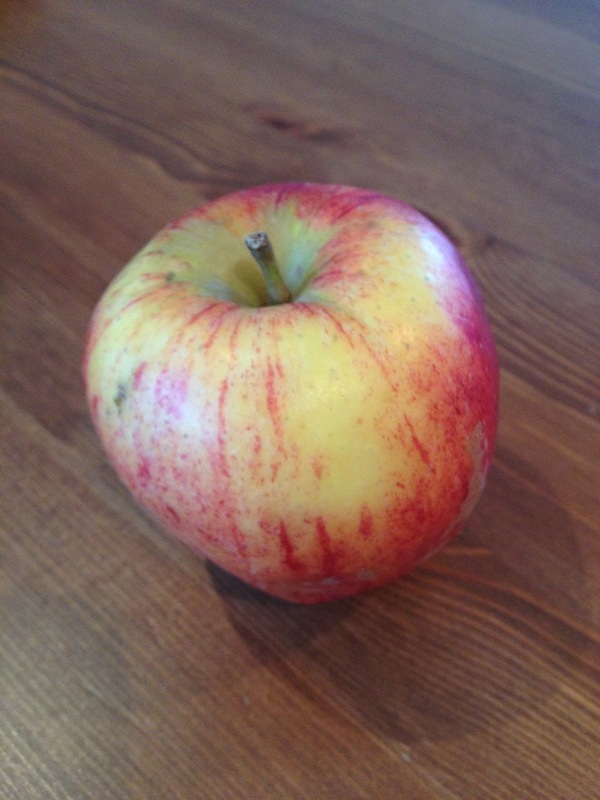 And Liz, I do think an apple's better than most other fruit for procrastinating - it takes such a long time to eat. Here's a good one to kill most of a day. Ensure that you need to do a wash while your washing machine door handle is broken so that, in order to access the drum, you need to unplug the machine, get out a screwdriver, remove the top, faff around inside trying to flip the handle switch, slice your thumb off, ferret about in the medicine cupboard for antiseptic cream (anything dated post 1992 is good), bind yourself up like Tutankhamun, put the washing in the drum and, in order to SHUT the door again, THEN DO THE WHOLE THING IN REVERSE. Hours, I tell you. HOURS. Thanks for that, your post was my 'put off writing for this morning' activity - great fun! Congratulations, Liz! And thanks so much for the deliciously funny post. I thought I was the only one who had discovered Rightmove as a way to procrastinate. Wandering through a dictionary of etymology in search of fun words is another good one (although that one really might be only me). Facebook. Suduku. Emails. Twitter. Washing up breakfast. Tax return. Reading interesting books. Post Office. Cleaning out guinea pigs. 1. Fill a glass with water. 3. Reach your desk and, when poised to start actual work, realise you are thirsty and don't have that glass of water you just went to fetch. Thanks for the lovely comments. I love all the extra ideas. I'll certainly add them to my list. Charlotte - I can so relate to this. Maddening at the time, but then it's such a wonderful feeling when you eventually find the glass of water/glasses case/cup of (now cold) tea etc etc in some random place! I actually did this one last year. Loved the last blog on procrastinating, and enjoyed this. Looking forward to ten suggestions to procrastinate 'til tea time. Oh Liz, I've been there and done ALL of those, plus a good few extras. Cornwall sometime? You, me,coffee etc? When the weather's more clement, though.